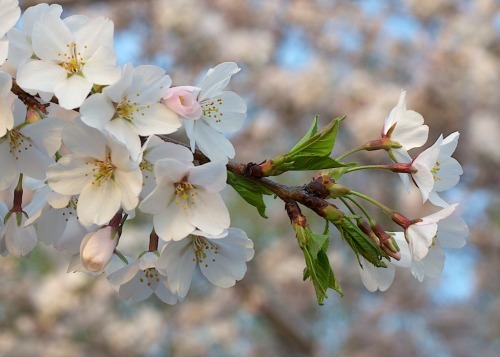 Free Photo Webinars - April 2013 focuses on your Cherry Blossom pictures. I’d love to see and share what you captured at the Tidal Basin or anywhere in the area. I’m asking for two categories: your best and your bust. Did you nail your money shot? Do you have an image this year that you are proud to share? Let’s see it. I’d love to show off your best images with our audience. This is a great opportunity to help share your art with our community. On the way to your best, you might have encountered a few challenges. If you had an image that didn’t work as you planned, and you’re not sure why, share that one as well. I’ll be happy to provide some insights on how you might have approached it differently. You’ll notice that we are holding our webinar on the third Tuesday this month. With the slow blossoms this year, I wanted to make sure we all had an opportunity to photograph them at their peak.